Durham is a vibrant city and county that has so much to offer. 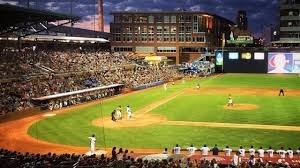 While traveling, you will see a lot of Royal Blue as the City is home to the DURHAM BULLS BASEBALL TEAM and DUKE UNIVERSITY. Never a dull moment as the community has evolved over the years to accommodate all types of activities. Head downtown and join in watching the performing arts at DPAC, take a stroll through the Duke Gardens that stretches on for miles, or even head to Falls Lake to enjoy boating and camping out at Rollingview Marina.